Prominent & Leading Manufacturer from Delhi, we offer oil seals. We are a well-known manufacturer and supplier of impeccable quality Oil Seals that are used in mechanical, automotive and engineering industries. 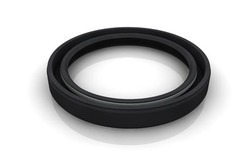 So as to manufacture these seals, quality tested raw material and the latest technology is used by our professionals in sync with industry standards. The offered seals are thoroughly tested on different quality measures to ensure flawless product at user end.